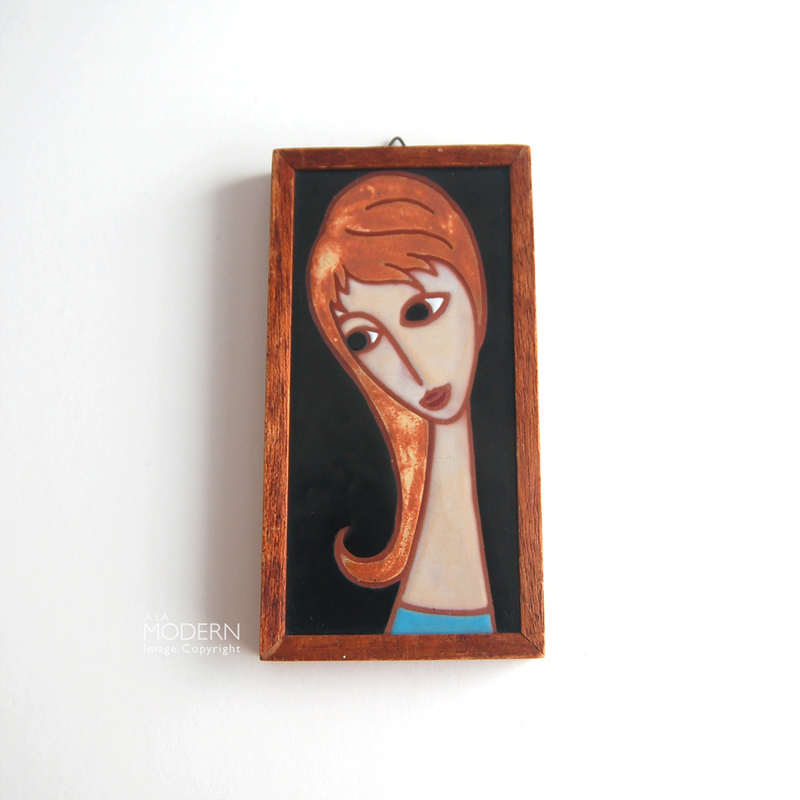 Wonderful, small vintage tile wall plaque by the Greek artist Helen Michaelides. Very much in the style of Panos Valsamakis pieces that we've had. 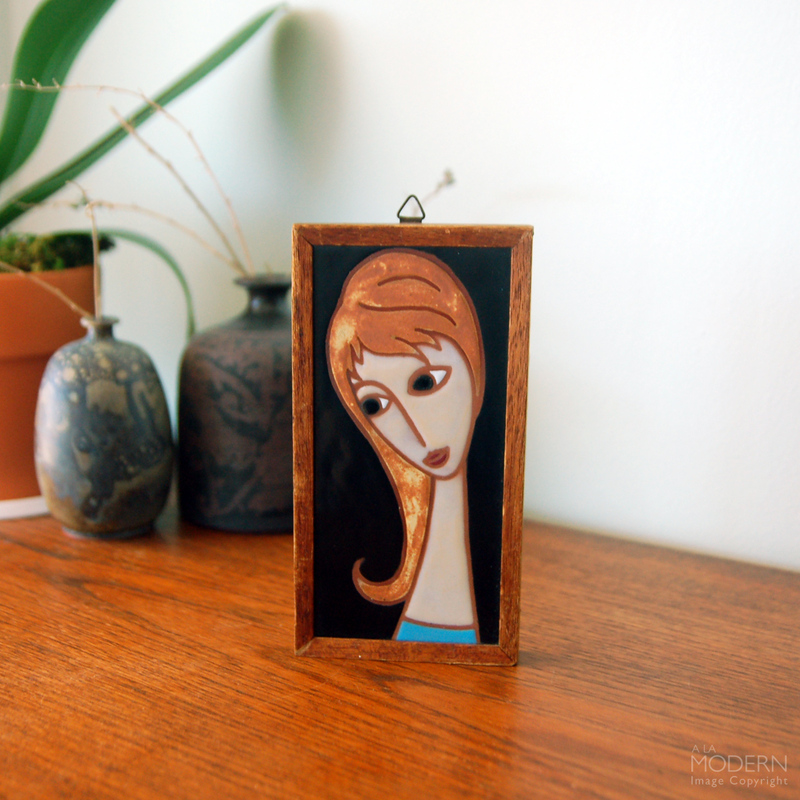 Composed of a single tile featuring a winsome stylized girl with long hair, framed in a stained wood frame. Tile colors are brown, light beige-pink and blue, with a black background. There is a hanging hook on the top edge, slightly off-centered. 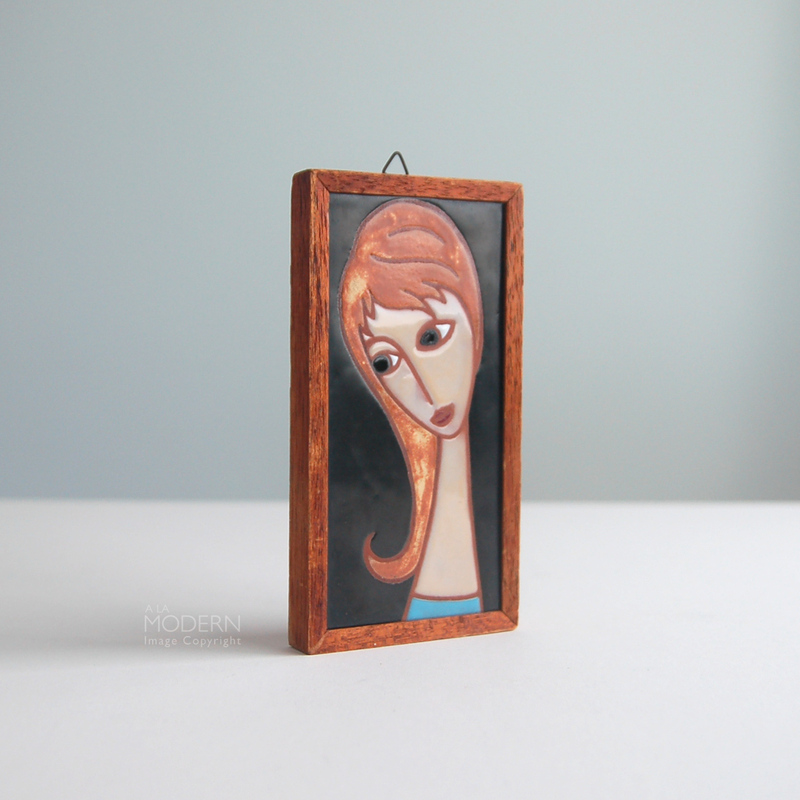 Thank you to Mid Mod Mom for ID-ing the artist, who's often known from the signature on the back that looks like "E. Mixandidous", and also an EM mark on the front. Ours does not have the EM but it does have the signature on back. 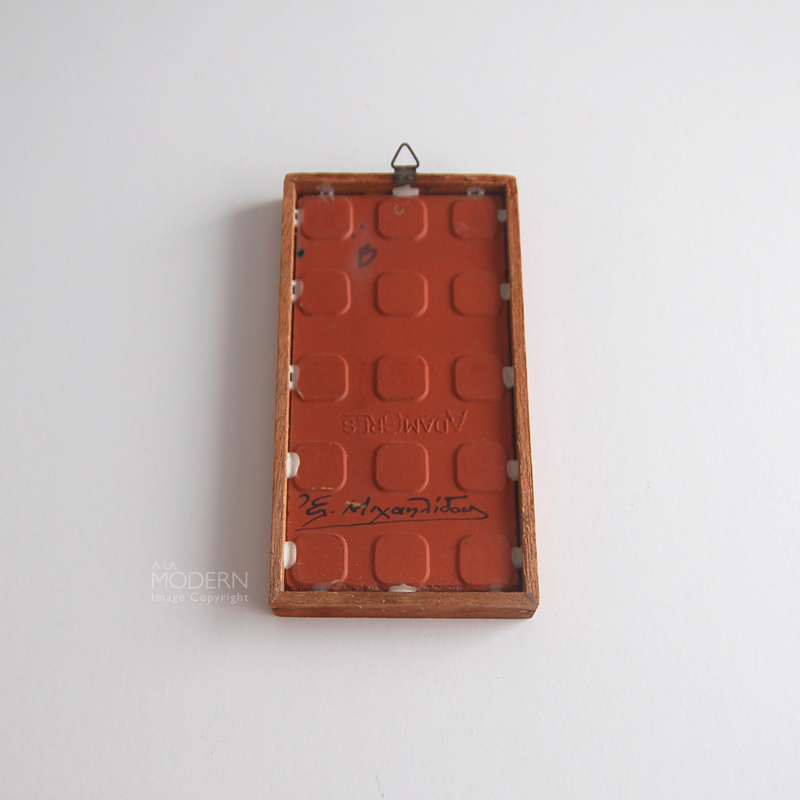 The reddish brown clay tile is also marked in-mold "AdamGres". In good vintage condition, with no cracks or chips. 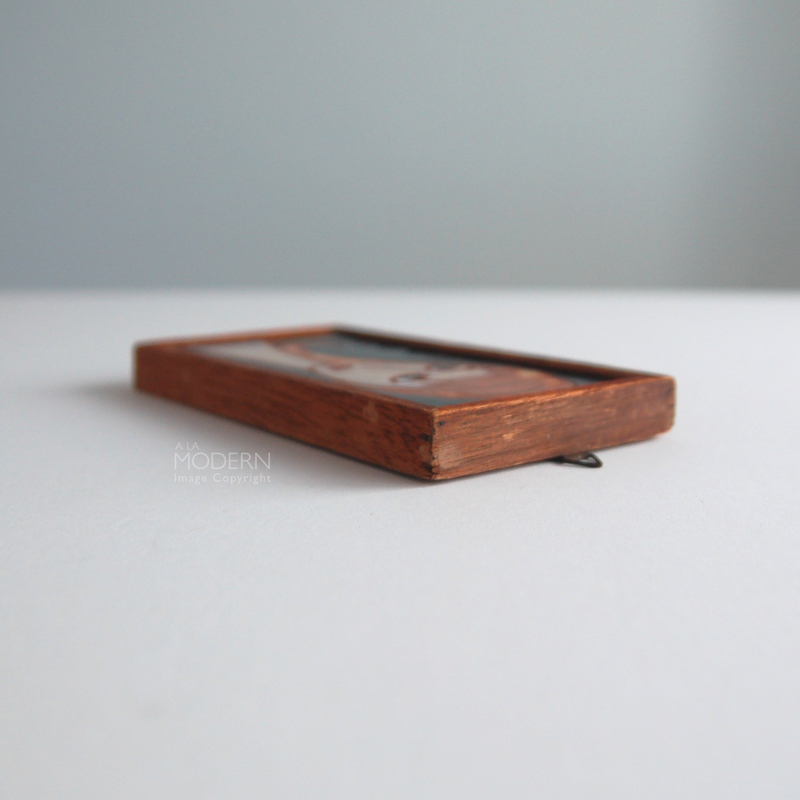 There is some light wear, nicks and discoloration to the wood frame. Measures about 6 1/2" by 3 3/8" around the frame.